Reprinted below, with permission, is an e-mail from Iris Caldwell of the Rights-Of-Way as Habitat Working Group. For more about Pollinator Week go to Accent on Natural Landscaping post. It’s exciting to see so many of you celebrating Pollinator Week on your websites and in social media. We’re posting to LinkedIn throughout the week, and will be launching our new website very soon. Please contact me if you’d like copies of the “Rights-of-Way Connect Habitat” illustration—we have several versions available. UIC published a press release yesterday publicizing the unique partnership that has formed to develop the monarch butterfly Candidate Conservation Agreement with Assurances. Thank you to all of you who have contributed time and resources to move this exciting effort forward. We now have more than 26 partners operating in 45 states across the U.S.! If you are interested in learning more about the U.S. Fish & Wildlife Service’s newly launched Monarch Conservation Database, there will be a tutorial webinar TOMORROW, June 21, s018 at 11:00am CDT. More information can be found here. We are excited to host the webinar Monarchs and Roadsides: Mowing Practices next week on June 27, 2018 at 10:00 – 11:00am CDT. Edward Entsminger from Mississippi State University, Stephanie Dobbs from Illinois Department of Transportation, and Doug Landis from Michigan State University will present their perspectives on mowing practices that benefit pollinators along roadsides. For more information and to register, please go here. A recording of our last webinar Monarchs and Roadsides: A Research Update is available on our website. 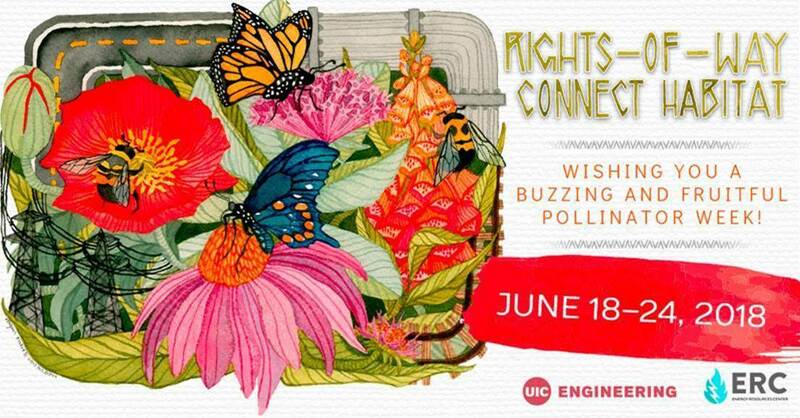 Mark your calendars for our next Rights-of-Way as Habitat Working Group meeting on Chicago, IL. More information will be available soon. o Wildlife Habitat Council presents How to Build a Successful Conservation Program on June 26 at 1:00pm – 2:00pm EDT. More information is available here. o Monarch Joint Venture and the National Conservation Training Center present Milkweed Seed Collection on June 26 at 2:00pm EDT. More information is available here.